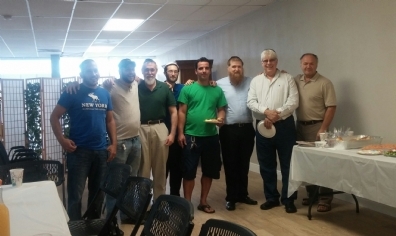 Enjoying a nice breakfast together after last Sunday's "Arms for Israel" Tefillin event. Soul course off to a great start! Our newest course, Journey of the Soul, by the world renowned JLI (Jewish Learning Institute), has gotten off to a great start this past Tuesday night. With five more lessons to go, it is not too late to join in! To try it for yourself, join us this Tuesday, 7:30 - 9:00 pm at Chabad Bay Area. 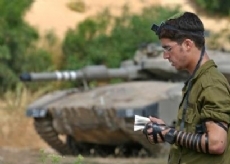 THIS SUNDAY: "Arms for Israel"
Our brothers and sisters in Israel are once again under hateful and relentless attack. Yes, we can help by speaking up and defending Israel. By sharing the truth about the right of our cause. But there are spiritual things we can do as well. Our sages teach us that the men's Mitzvah of Tefillin and the women's Mitzvah of Shabbat Candles bring a special merit of spiritual protection. Don't have Tefillin? Not sure how to do it? Don't worry, we'll help you out. Our very own Rabbi Yitzchok Schmukler is scheduled to be delivering the Invocation at the League City Council Meeting this Tuesday night at 6:00 pm. 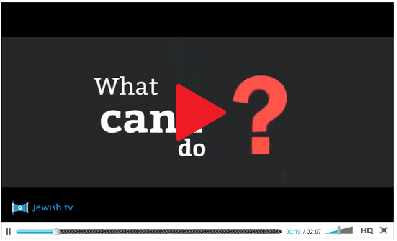 VIDEO: What Can I Do for Israel? Save the date for the Grand Opening, inauguration and open house of the new Chabad of the Bay Area – Center for Jewish Life & Learning. Watch your email for the official invite next week! Join us for a very special Shabbat! This Shabbat is known as "Shabbat Breishit" (Gensis) - the Shabbat when Jews all over the world begin the new cycle of Torah reading. Rabbi Efraim Schmukler is a senior rabbi, Torah scribe, and lecturer; Rebbetzin Chana Schmukler is a noted educator on the topic of Jewish womanhood; they both serve as "Mashpia" (spiritual life coach) to many in the Montreal Jewish community. 10:00 am - Morning Service Begins (Torah reading at approx. 11:00 am). Friday night, Welcoming the Shabbat (Kabbalat Shabbat) Services, will be held tonight 7:15 - 7:45 pm. The first Simchat Torah Celebration in League City was the perfect grand finale to a most inspiring series of holidays at Chabad of the Bay Area. At the grand celebration on Simchat Torah evening ("Dance with Torah Scrolls, Dine on Sushi Rolls") the atmosphere was electric, with lively dancing, tasty food and a feeling of true holiday joy. On Simchat Torah morning we came together once again for the traditional completion of Torah reading and starting over, danced and sang some more and enjoyed a tasty Kiddush together. What a fitting way to wrap up a most meaningful holiday season, taking with us the inspiration and meaning of the High Holidays, and channeling it into our own lives with joy and happiness and a feeling of inspiration and desire to renew our dedication to G-d and to enhance our Jewish experience in the coming year. IMPORTANT: Register by October 15th to guarantee your spot! Simchat Torah is a special time. We dance, we sing, we celebrate the greatest gift of all... our holy and precious Torah! G-d's infinite wisdom. Joy breaks through all barriers! It uplifts and unites us when we celebrate together as one people. Simchat Torah is a celebration not about our accomplishments in studying the Torah, rather it is about the essence of the Torah and our essence as a people - a bond which has kept our people united, courageous and strong despite all diversities we have faced throughout the ages. We are one people, with one G-d, one Torah, one heart! • Dance with Torah Scrolls and Dine on Sushi Rolls! • Kids, come and create your very own Candy Sushi! Grand conclusion of Torah and starting a new from of the book of Breishit - Genesis! 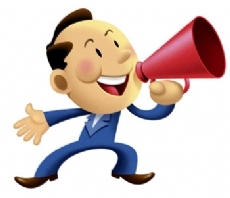 Save the Date: Special Shabbat next week! Mark your calendar and be sure to join us next Shabbat, October 10th for a very special Shabbat!